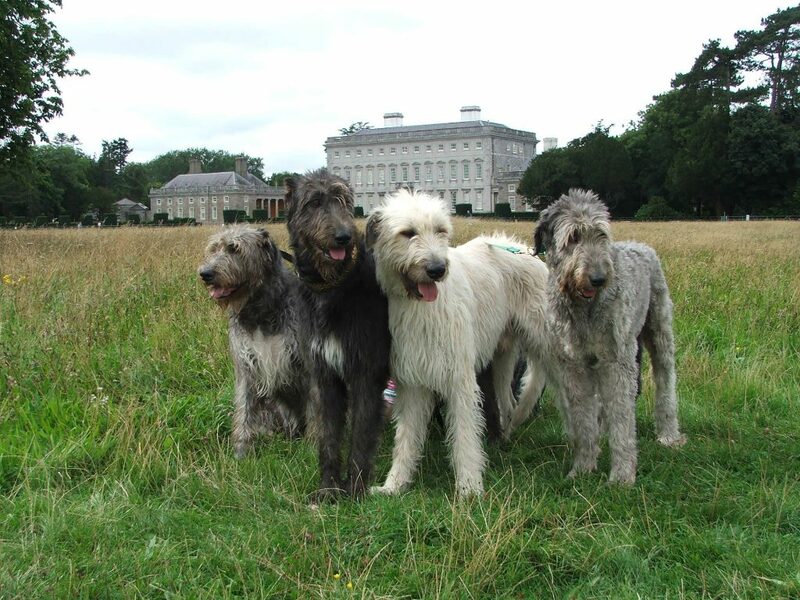 The Irish Wolfhound Club was established in 1885 its founding members coming from the Islands of Ireland and Britain. The early 1900’s brought change in Ireland, World War 1, Irish War of Independence and the Irish Civil War changed the social fabric of Ireland and Britain. Ireland regained Independence in 1922 and all walks of life set about establishing the organisations required for the day to day running of the state. Minutes exist of meetings that took place as early as 1904 in Ireland but it is 1908 before we see the Irish Wolfhound Club of Ireland being mentioned in these correspondence, whether some of the Irish founding members of the 1885 Irish Wolfhound Club had the foresight to see what changes were about to happen in Ireland we can only speculate. The new Irish Wolfhound Club of Ireland had Mr J.F. Baily at its head a founding member of the 1885 club and the Capt. Graham Trophy for the best pup bred in Ireland was given to the club. In 1925 the Irish Wolfhound Club of Ireland, affiliated to the newly established Irish Kennel Club. The following years were a time of great trade depression for Ireland. A 40% tariff placed on all hounds going from Ireland to England effectively stopped the movement of hounds between the islands of Ireland and Britain. Thankfully for the sake of our ancient and noble breed, Irish breeders, led by Mrs. and Mr. H. B. Fottrell, a founder member of the Irish Kennel Club, and chairman for many years, had a good stock of the best bloodlines and with their tenacity and foresight the breed flourished to give us the high quality of dog we have in Ireland today, that is in line with our breeds standard.